I was thinking of that today as I read the announcement that the nearest body of water to my new home — in Park Slope, Brooklyn — is about to get a long-overdue cleanup. 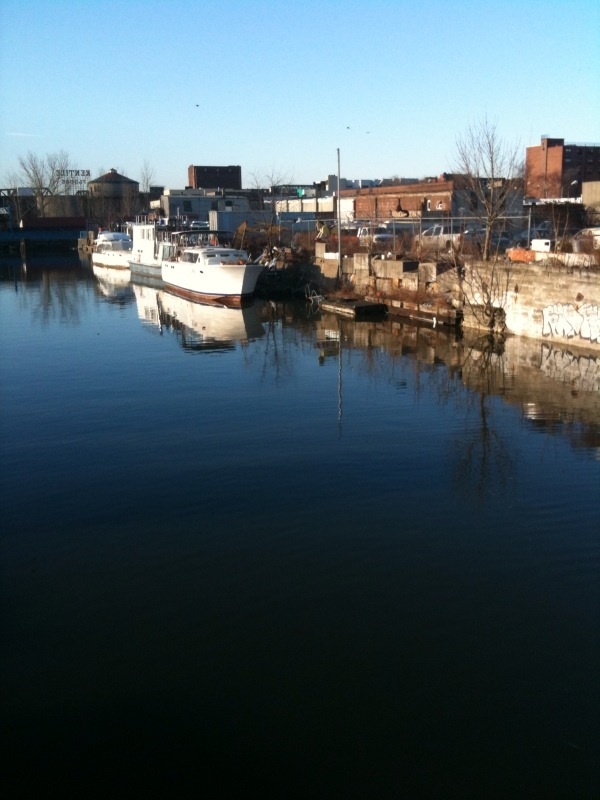 The Gowanus (pronounced go-WAH-nuss, as much as the canal itself may look like it should be pronounced another way) is an old industrial canal, and it has just been designated a Superfund site by the EPA. It hasn’t frozen this year, which makes me think there’s been enough antifreeze spilled in it over the decades that Apolo Ohno will never set foot on it. There are plenty of jokes about it being lined with the bodies of mob hits. It doesn’t have a bottom, it just gets thicker. And the colorful sheen on its surface likely discolors the down feathers of the ducks, who seem oblivious to its toxins. You can tell the change of seasons by the difference in the smell. And I’m strangely looking forward to this year’s algae bloom. For those of us who hoped the EPA would begin the cleanup, it smells a little like victory.